By commodities we mean the sum total of all the raw materials that are vital ingredients in manufacturing and processing industries, goods like gold and silver that are mined and shaped into jewelry, or crops like wheat and barley that are vital to the food processing industry. There is enormous trading activity centered on such commodities all over the world. At one end of the spectrum we have the growers, suppliers and sellers of commodities and at the other extreme we have the consumers or buyers, and commodities get traded between the two in huge volumes. A buyer and a seller may agree mutually to trade a specified volume of a commodity at a future date on a predetermined price. This way, both the seller and the buyer are assured of steady orders to maintain their business without worrying about price fluctuations in the demand and supply time gap. This is called futures trading in commodities. In a futures contract the price for a specific volume of a commodity is determined today, but the final payment occurs only after the hoods are received by the buyer at a future date. In the meantime, to show good faith, the buyer makes a down payment or puts up “margin” money in the form of cash or treasury bills. Broadly there are three groups, the hedgers, speculators and investors. The hedger could be a farmer supplying wheat or the buyer purchasing wheat for baking bread. Through futures trading they would be hedging the risk of drastic fluctuations in prices or disruption in supplies owing to sudden shortages. The speculator on the other hand is a third party taking advantage of price fluctuations in the short term. The speculator may anticipate that wheat production may decline following extreme climatic changes and he will book a contract to buy wheat to make a profit in the short term. There are opportunities for investors also in futures trading. Between the buying and selling of the actual commodity, the futures contract exists only on paper and an investor unconnected with the sale or purchase of the real commodity can make a profit buying futures contracts listed in the commodity markets when they anticipate that prices will rise, or sell futures contracts when they feel that prices are likely to dip. 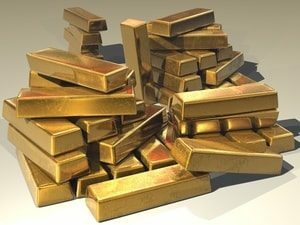 Supposing you want to invest a sum of $3000 which represents the 10% margin in a $30,000 futures contract involving sale of a hundred ounces of gold valued at $300/ounce. You are not the seller or buyer of the gold, you are simply holding a paper investment for value equivalent to a trade of $30,000. Supposing market price of gold shoots up by 20% in the period before the sale comes through. Suddenly your contract value has shot up to $36,000. If you sell your investment at this point you stand to make a neat profit of $6000. The stakes are very high in futures trading, and the risks can be too hot for newbies to handle even when they possess a fairly good knowledge of the markets and individual commodities. In short, this is not an investment that should form part of a regular retirement planning portfolio. If you are eager to kick start an investment in the commodities market but you suffer from a paucity of funds you can resort to a loan for vehicle title. The cash loan for title is a great way of raising a big amount at very short notice. The car equity loan rests on the collateral of your car pink slip and helps you access a sum equivalent to 60% of the aggregate resale value of your vehicle. Auto collateral loans charge interest within 25% APR which make them cheaper than pawn loans and payday loans. Structured and amortized repayments with lower monthly installments make the pink slip loan repayment much easier on your resources.